Above all it was her personality. 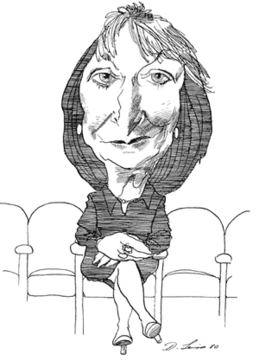 Pauline Kael had an overwhelming presence in a conversation. 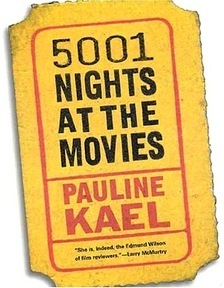 There will no doubt be many discussions of Kael's work and influence and with the publication of Brian Kellow's new biography Pauline Kael: A Life in the Dark, and the Library of America's forthcoming collection of her work. She was the most powerful, loved and hated film critic of her time, but her work cannot be discussed objectively by simply reading it. She challenges you on every page, she's always in your face, and she functioned as the arbiter of any social group she joined. She was quite a dame. She might have liked that- "quite a dame." She wrote with slangy, jazzy prose, always pepped up, spinning on the edge of a whirlpool. She never saw a movie twice, and wrote her reviews first-draft, in longhand on yellow legal pads. In her years at the New Yorker, she had no apparent restrictions on length. Reading her was like running into her right after a movie and having her start in on you. More than anybody else, she captured what those heady days of the 1970s were like, when the directors seemed to be running the Hollywood asylum and the cinema seemed to be shaping a generation. The book tells me many things I didn't know, about her youth and spotty education and early experience among the bohemians, artists and poets of Berkeley and San Francisco. She fell into the task of managing an art theater, and her program notes became locally famous. 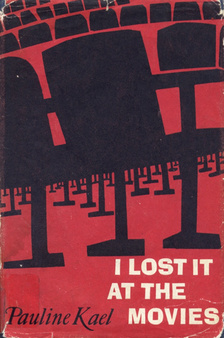 Usually poor, often living in uncertain circumstances, raising her daughter Gina, presiding over an expanding coterie of creative outsiders, she made no substantial money until her early free-lance pieces were collected in I Lost it at the Movies. That book sold 150,000 copies--surprising, since she lacked a national platform or reputation. It was the writing. It had a heady joy. She responded strongly to movies, in love or hate. She didn't mince words. For her a movie was like a lover--good or bad in the sack. 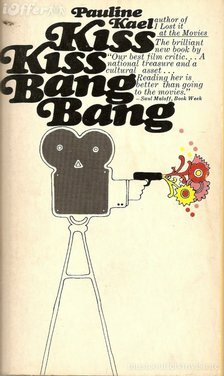 Her book titles hinted passion in the dark: Kiss Kiss Bang Bang, Going Steady, Deeper into Movies, Reeling, When the Lights Go Down, Taking It All In, State of the Art, Hooked, and her collection of her favorite work, For Keeps. She became known in her early days for a feud with Andrew Sarris that became legendary in film criticism circles. Sarris was the critic of the Village Voice, was also given a great deal of space by his editors, and was said to be the man who brought the Auteur Theory to America. That was the theory, shaped by French critics in the 1950s, arguing that chosen directors had a personal style that shaped all of their film, regardless of genre, and in that way their work was one extended exercise in that style. The French were particularly fond of American directors in such genres as war movies, Westerns, musicals and others which were deliberately not highbrow art. They gave a name to film noir, and by identifying its masters they helped form a new Hollywood Pantheon. 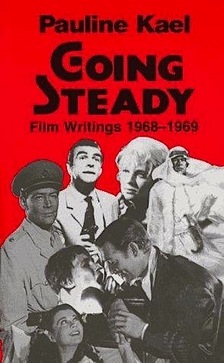 Sarris published a book, The American Cinema, which partitioned American directors into categories: In the Pantheon were Chaplin, Flaherty, Ford, Griffith, Hawks, Hitchcock, Keaton, Lang, Lubitsch, Murnau, Ophuls, Renoir, von Sternberg, and Welles. Billy Wilder was later promoted to the Pantheon, but Sarris relegated to lower levels such as Kubrick, Preminger, Wyler, De Mille and other considerable names. Setting aside those not in the Pantheon, there is no denying the greatness of those included, and as a young critic with no formal film education, I seized upon his Pantheon. To educate myself I began teaching in night school at the University of Chicago, and we worked through semesters of several of Sarris' choices. Just by making a list, whatever its worth, he gave me a place to start. For Kael, such lists and hierarchies were worthless; they smelled of dogma, and for her lacked the thrill of the hunt for new and exciting directors. In reviews that sometimes bordered on ecstasy, she championed "Bonnie and Clyde," "Nashville" and "Last Tango in Paris." She discovered new directors like James Toback ("Fingers") and Brian de Palma. In prose sometimes approaching hyperbole, she insisted on their greatness, and although she was often correct, for her the point was not their "objective" greatness in the Pantheon sense, but her personal reaction to their work. In the lingo of her book titles, the films of such directors made her come. My introduction to the New York film critics' world came in 1967, when I attended my first New York Film Festival. 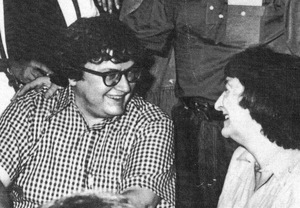 Pauline was the center of attention after every screening, especially of her beloved Godard, and in the back room of the Ginger Man, across Broadway from Lincoln Center, she held court over a big table jammed with friends and followers. She was not a snob. Despite my disreputable Chicago origins, I was welcomed to her group from the first, and she introduced me to such as de Palma, De Niro and James Toback. Ironic that Pauline, so scornful of the auteur theory, essentially maintained her own Pantheon of personal gods, to whom she was as worshipful as Sarris to his. A post-movie dinner or drinks with Pauline was a tumult of words, laughter, cigarette smoke, conspiracy and intrigue. Later it was said that her followers were "Paulettes," and followed the party line. Was I a Paulette? I've never seen myself listed, but then as a Chicagoan I must have been considered an agnostic. She would invite me to her apartment in the Dakota in gatherings of her friends, and I found it astonishing how minutely she followed promising new filmmakers, how many films she saw early, how much advice she gave, how many screenplays she read. If she only saw a movie once--well, maybe that was all the time she had. We met often. There was a night of drinking during the festival in my hotel room, with Scorsese and me sitting on the floor at her feet. (It was circa 1970, and sitting on the floor was commonplace, I suppose as some kind of statement, just as wearing blue jeans everywhere had become). When she was on the jury at Cannes, I was invited to a little bistro where she introduced Agnes Varda and Jacques Demy. When she briefly took leave of the New Yorker to accept a job offer from Warren Beatty at Paramount, she invited me to a dinner at an Italian restaurant with such as Ray Bradbury, Toback and Robert Towne. "Honey," she confided, "I can't stay out here. They're all whores." Not including present company, it was implied. 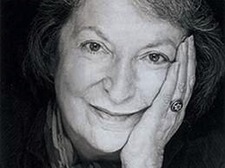 In an obituary, I wrote, "Pauline Kael had a more positive influence on the climate for film in America than any other single person over the last three decades." What did I mean by that? Pauline had no theory, no rules, no guidelines, no objective standards. You couldn't apply her "approach" to a film. With her it was all personal. Faithful readers will know I am tiresome in how often I quote Robert Warshow, who in his book The Immediate Experience wrote: "A man goes to the movies. The critic must be honest enough to admit he is that man." 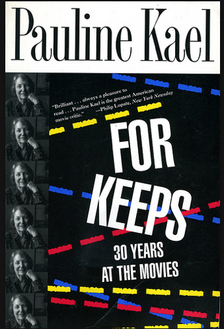 Pauline Kael was that honest. She wrote about her immediate experience, about what she felt. She's accused of being inconsistent and contradicting herself. Directors would fall in and out of favor. With her there was no possibility of inconsistency, because she always wrote about what she felt right now. What was the purpose tilting that emotion to reflect something she wrote earlier? I sat next to her once in a New York screening room. She responded audibly. "Oh, oh, oh!" she'd say, in praise or disapproval. Talking like that would get her in trouble in Chicago. Pauline had--or took--license. You sensed something physical was happening as she watched. Drawing at top by David Levine. © 1980 New York Review of Books. That was her influence, and you can see it reflected all over the web, probably by some critics who have never read her. It is all first person. Before the auteurists, when France was already the center of film criticism and theory, the critics of the important newspapers and magazines reflected the policies of the publication. In America, reviews were usually more sedate and removed (Manny Farber here being the exception, as he was to everything). Pauline Kael blew those attitudes out of the water. In my reviews and those of a great many others you are going to find, for better or worse, my feelings. I feel a responsibility to provide some notion of what you're getting yourself in for, but after that it's all subjective. A reader wrote me recently about a review where he sensed low energy and disinterest. He was right. The movie ("The Big Year") was "good enough" in a humdrum way. But I didn't want to go steady with it. It didn't leave me reeling. Next Article: The sudden death of film Previous Article: Why are we cruel?